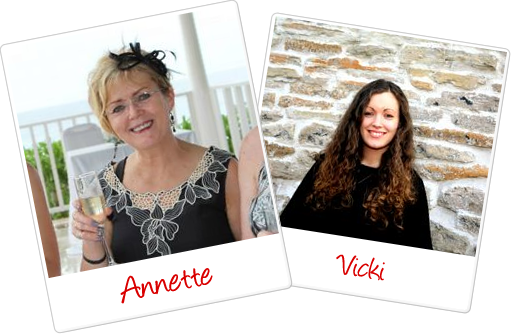 We are delighted to bring you a Q&A today with the fabulous ladies behind the Named Clothing pattern collection! We are Saara and Laura Huhta, the two sisters, designers and entrepreneurs behind the indie pattern label Named. We founded Named a little over five years ago, after having sewed for almost our entire lives! How and when did the comapny start? The story of Named start in the fall of 2012, when we first got the idea of starting our own indie pattern label. It came to us as a sort of a whim one sunday afternoon, when the two of us sat on a bus to go from our training to our parents place for lunch. For some reason we started to chat about work, and what kind of work we would love to do if we could choose anything. It has always been clear that we love sewing and crafts, so starting our own pattern label sounded like the perfect plan, and we started to write down our business plan right there and then! One year later, our web site saw the day of light, and our first collection 'First Named’ was released. What was your background before Named? As mentioned, we have sewn since our mom taught us the skill when we were very young. After that, Saara studied a degree in fashion design and pattern making, and Laura graduated as a footwear designer. For the time before Named, Saara worked as an assistant in movie and theatre costume design, and Laura as a design assistant in a handbag design company. That one is actually a funny story! We had a really hard time coming up with a name for our own business. The deadline for registering the name was getting closer and closer, so we simply had to decide that whatever the name, we cannot dither any longer, at this point the company just has to be named. and Named it was! What's a typical 'day in the life' for you? Typically every morning we open the computers, and Laura checks all the e-mails. Saara will take care of the web shop orders. We do a lot of resale orders, sales, social media and that sort of day-to-day tasks during the days. Making patterns takes quite a lot of Saara’s time, and when we are in the middle of a pattern development process, Laura will make the instructions. We love to be the bosses of ourselves and getting to decide which direction we take the brand to! Of course we love to design and sew. Sewing and designing periods usually happen only a couple of times a year, and they are always a delight! Have you got a favourite pattern? Oh my, impossible to decide! I would say that there are several favorites for several reasons. Of course our Kielo Dress, which is probably our best known pattern. Then there are patterns that took a lot of work to make, for example the Helga Playsuit, but worked out great when the pattern was eventually finished. That is always very rewarding to see a pattern become a real, wearable thing after it looked as though it would never work! From our book Breaking the pattern we absolutely love the Solina Jumpsuit. It has a lovely silhouette and beautiful details, with a fabric that was almost like it was made for it! So all in all it’s a very successful style which we are quite proud of. How long does it take from initial idea to launching a pattern? It is hard to say. We usually design collections that have approximately ten styles. It takes us half a year to finish the entire process from initial idea, design, making patterns and writing instructions, through testing to actual patterns and instructions in a sellable form. The book project was very different because the collection is so much bigger, and the theme is very different, with all the pattern variations, and mixing and matching pieces. What's your most popular pattern? Kielo dress. It was released in the spring of 2014 as a part of our ’All Things Nice’ collection, and it still sells more than any other pattern in our shop. But it’s understandable, because it is a very simple pattern with a very exciting and interesting look! The book project has been one of the most exciting - or actually the absolute most exciting - projects in our history! It was fun to step out of our routine of releasing two pattern collections a year, and work on something that much bigger, and so thrilling! It was definitely a fun project, even though it took a lot of work, and we are very happy with the result. The book is made for ladies who love style and sewing, and would like to improve their sewing skills but also be creative and experiment with pattern hacking! As the name suggests, the book offers a lot of options for ’Breaking the Pattern’, and doing things in a different, more personal way! What sorts of fabrics do the patterns from the book use? We use a variety of fabrics, from light and drapey chiffon and challis to robust denim! We also have a few patterns for knits, and one coat in which we used a lovely Cashmere coating. Of course there are patterns for the very basic things, such as shirtings, too. Have you got a favourite pattern/part of the book? As mentioned before, we really love the Jumpsuit pattern. The Palo Jeans pattern is also a nice and very unusual jeans pattern which we love. We love how the book turned out and how it is easy to use for different skill levels - the book starts with a very simple project, and the skill level will develop throughout the different projects, ending up in a gorgeous coat! So a beginner can start from the very first project and move along, learning new skills project after another. But there are still plenty of things to sew for even a more experienced seamstress! Who knows! Right now we are anxiously waiting for the book to come out and see how it’s received! Of course we would like to do a lot of book-related things after its release, to give it all the attention it deserves! But in which form - tutorials, blog posts, sewalongs - that we haven’t decided yet. Thanks so much for chatting with us today! We cannot wait to get our hands on a copy of the book and start making! And keep an eye on the Minerva Crafts blog...projects from the new book are coming soon from some of your favourite bloggers! My blog is called Sewing Adventures in the Attick. I decided to call it this, because I my sewing studio is actually located in a converted attic, and is my favourite room in the house. I started my blog from the need to try and keep a record of my makes and share with the amazing sewing community my impressions about patterns, fabrics or supplies I use in my projects. Oh, I was always interested in the clothing. As a child, I used to draw fashion sketches, and dream of actually making them. However, during that time in Romania, I did not know how to go about finding a sewing machine or how to learn how to sew. Hand sewing was not an option. I tried making dolls’ clothes by ruining old clothes or pillowcases and then gave up. Then when I moved to UK, over 10 years ago now, I was gifted my first sewing machine and there was no turning back. I like sewing so much because I make for myself a select few garments that are unique for which I did not pay an arm and a leg. My first project was a simple top. It was similar to view C of New Look 6464 (no longer in print). I no longer have the pattern nor the top. But I remember how happy I was for making it all on my own. For me, sewing garments is my favourite craft. I’ve tried other crafts such as knitting or quilting but I just not enjoy them as much. I’d got to say its spending time doing something I love and at the end of it I have something useful. Also, for me sewing is a way of expressing my creativity while solving problems. Many times, I’ve made mistakes that required me to figure out solutions to bring my projects to completion without having to start again or completely abandon them and feeling I wasted my time. Do your friends or family sew along with you? I tend to sew alone. My family is not really into crafts. I am the only one obsessed with it. I have a friend with whom we sometimes get together for a sewing day, when we sew together all day. At the end if we manage to finish our projects we might even have a little photo shoot to have a little memory keepsake. Mainly, I sew for myself. I am quite selfish when it comes to sewing, also because I find it hard to part with my projects. But, I am known to have made a few gifts for my friends and family. All with the help of my cat, Bella, who checks out the project mostly by sleeping on it. What made you decide to start to blog about your sewing? The main reason I started my blog was to keep a diary of my projects as well as to improve my English, as it is not my first language. Slowly, it became a way of me to connect with others who love sewing as much as I do, as well as to share my opinions about patterns or fabrics. I feel very happy when my ramblings about sewing are useful to others or they find inspiration in my words. Do you have a favourite snack when sewing? No, I tend to be so engrossed into my sewing that, I actually forget about snacks. Which is a good thing, because chocolate is my downfall and need to stay away from it. Sewing helps me do that. However, I do enjoy the odd drink while I am doing sewing related activities such as blog writing or reading sewing literature (this includes, blogs, books or magazines about sewing). Hmm… This is quite difficult for me. But If I a to pick only 3, I’d say my sewing machines (includes my overlocker), my SimFlex Sewing Gauge (marking buttonholes or button positions is a dream with this) and the unpick (I never fail to use it almost every project I have the need for one). My collection of unpicks is extensive. I have them everywhere, so I never run the risk if not finding one when I need it. I do not really have a favourite fabric to work with. I try to challenge myself to work with any fabric. The main thing about the fabric has to be soft against the skin. I used to work mainly with wovens that were quite stabile while working with them. But, with a few tricks up one’s sleeve tricker fabrics such as knits or silks can also be nice to work with. Besides, liquid fabric stiffener that washes out, works wonders on most fabrics. I try too keep myself on track by working on one project at the time. However, sometime, when I make something a bit more complicated, from which I need a bit of a break, also work on a simpler make to get some instant gratification by having something completed. Another difficult question for me. I don’t really have a favourite make of all time. Usually my favourite one is also the last project I have made. So at this moment in time, I’d say that the outfit I made for a sewing challenge in December is my favourite. Right now I am working on a product testing project, using a poly-cotton to make a jumpsuit. Do you watch TV or listen to music while you sew? I do both. Sometimes I watch TV, other times I listen to music. It all depends on my mood. But there is no rule to it, as I’ve spent many days sewing without TV or music. I do not have a particular process that inspires me to sew. Over the years. I’ve amassed a huge list of projects I want to do, that I don’t need to spend time deciding what to sew. I just need to decide what to sew next form my To Do list. I do sometimes get distracted from my To Do list by new patterns I discover on Instagram or Pintrest or by my wish to join in with sewing challenges going on in the Sewing Community. Do not be afraid to do it. You do not have to try to come up with something new, that no one else has written. Just write about what make you happy and be yourself. Remember that it’s a hobby and you do not have to stress yourself in creating the perfect blog from the start. As many other things blogging is a learning experience, just embrace it. You never know where it will take you. Not necessarily, but I’ll try: fabric hoarder, sewing gadgets lover and perfectionist. Just try it! You never know if you do not try. I do advise, start small with a little kit, see if you like it. These days for most crafts you can find introductory lessons/workshops where you can use the tools and materials offered by the provider. Hello I’m Dianne and my blog is called Sew, Create and Recycle. My blog is mainly about sewing and dressmaking but with quite a few other bits thrown in here and there. I love charity shops so finding and refitting items from there is featured, as is upcycling old furniture, a couple of caravan makeovers and lots of recipes for vegan food to keep me going while I sew! When I read blogs I enjoy the mixture of content and finding out about fellow crafters lives, so I believe there is something to be said for variety and sharing more than just the sewing. My sewing space has changed over the years with the arrival of children, and then a house move. Many years ago I had a bedroom dedicated to sewing, then when the children came along I moved to a draughty extension (more of a tool store) on the side of the house. In my current home I use one end of the sunroom, it is just a large desk with my machines, various sewing boxes and tools all over it. My dress form stands beside it and I have a box for fabric under the desk, not being much of a fabric hoarder it contains mainly leftover pieces. There is usually only ever a couple of full size pieces of fabric waiting to be brought to life and I’m usually amazed when I see photos of fabric stashes piled high. When I was a child I always enjoyed making things, cardboard boxes to houses, clothes for dolls and all the usual craft sets. My favourite that I remember was a doll printed on to flat fabric that my auntie bought me for Christmas one year, my mum couldn’t really sew so I had to figure it out for myself. It was quite a crude make but I loved it. When I left school my first big purchase was a sewing machine, I went straight to the market, bought some fabric and had a go freestyle. I’ve been making clothes ever since. Sewing has to be my favourite craft as I love the way you can just have an idea in your head and then be wearing it within hours. There is also the money saving element of it, making my own clothes has saved me a fortune over the years while at the same time keeping much of my wardrobe unique. I don’t usually eat while I’m in the middle of a project but I do drink lots of Earl Grey Tea. I wouldn’t be without my seam ripper, good scissors and needles/pins. If the machine breaks I can carry on by hand but those things are essential everything else is just icing. Cotton has to be my favourite as it is so easy to work with, then jersey as it is so forgiving if you make things a touch too tight. I have a collection of jersey dresses and often have to remind myself to make something different but it is just so comfortable to wear too. I don’t use many patterns as I like to do things my way and figure it out as I go, sometimes more structural items benefit from following a pattern so I do own a good one for a formal shirt and a denim jacket. The shirt pattern was my favourite to follow Burda Young 6849, the finish is just so neat. Art Gallery Fabrics Jersey Fabric called Tiny Dancer Midnight, I have had my eye on this and would make a top for Autumn with long sleeves and either a granddad or scooped neck. I love the patterns in this range as they are a little different. It really would be my wedding dress as I designed and made the pattern myself at 22, all my photographs are glossy and dated so it would be a poor quality image to share here so after that it would be my black denim jacket. This was made from another Burda Young pattern 7018, it originally had Paul Walker shirting as lining just because I loved it, that didn’t really work though as it grabbed on clothing. It has since had an upgrade to some nice turquoise satin. I always listen to music while I sew, mainly rock, indie rock but not too heavy. It keeps me company while I lose track of time, I sometimes listen to TED talks if there is something that interests me. Always experiment with your old clothes, take apart a good fitting item rather than trashing it once it wears out. This is the best way to learn and you will have a pattern you know fits. Also remove zips, buttons and any other useful bits from all items of clothing destined for the bin that are not good enough for the charity shop. I would love to make more of a business from my sewing, I have sold one of a kind bags in the past and I sew for others when requested but having a day job I suppose I have never really taken the plunge to push myself out there. I would love to have a go at designing a pattern for sale as many of my own makes are from my own ideas. Jump in and have a go, there is lots of good advice out there on various blogs. If you want to learn how to do something, somebody out there has tips, photographs and tutorials on their blog. Be flexible if you don’t enjoy the first thing you try have a go at something else, there is something very peaceful about creating something for yourself. My name’s Becky, I’m 34 years old and live in Nottinghamshire with my husband, Neil and Labrador Bentley. I’ve been sewing for about four years and am also the author of notesfromthesewingroom.wordpress.com. I’d wanted to make my own clothes for a long time but it took me a long time to build up the courage to dive in and give it go. Looking back that seems a strange thing to say, but I’d not touched a sewing machine since I was at school (a long time ago!) and I was worried what people would think. However, I always think if you put your mind to it and think positively you can achieve anything. So… off I went on a journey that I can honestly say has changed my life for the better. I now make most of my own clothes and simply cannot imagine my life without sewing. It’s really become part of who I am. I set up my blog primarily because I wanted to share my sewing experiences with other like-minded people. I also wanted to document the things I’ve created online for my own reference. Although I’m only at the beginning of my blogging journey, I also really hope other people can read my posts and be inspired to give crafting a go. This old photo was taken by my husband when our dining room was still our dining room – before my sewing equipment and fabric store took over completely. As the name of my blog suggests the dining room is now very much my Sewing Room! Anyone coming for dinner at our house now has to compete for space with many mounds of fabric and an over locker that rarely leaves the table! I love anything handmade. I have always wanted to make my own clothes, but I suppose I just got tired of never really finding what I wanted in the shops and being unhappy with the fit of skirts and dresses particularly. Although I mainly make clothes, I do like to try to turn my hand to other crafts, especially at Christmas time or when there are birthdays on the horizon. In terms of my recent craft projects, I’ve had a go at lino printing, card making, pom poms and table runners. I’m always interested in learning new skills and get really excited when I master a new craft! I also love to bake and faff around generally in the kitchen. I recently tried making jam at the WI I attend which was great fun, so I definitely hope to have another go at that in the future as I was pleasantly suprized how little time it took (bearing in mind I didn’t have to pick or buy the berries and other ingredients). I find crafting really stress relieving. Before I made things I found myself worrying unnecessarily about things and stressing out about work, but now I can focus on my latest project (or projects) and I honestly believe I’m much happier for it. I can’t believe I didn’t find my love of crafting before; I’m always encouraging friends to join me for a craft-a-noon! I guess I’m quite a selfish sewer – mainly making projects for myself. However, I do love to give handmade gifts to friends and family. I like to make them something that is truly unique. As we say in England, I am a real ‘tea belly’. I drink numerous cups of tea everyday and seem to get especially thirsty when I’m at my machine! These numerous cups of tea are often accompanied by a biscuit or cake, depending on what I have in my cupboard. That’s easy! I’d be completely lost without ‘Pin Dog’, my faithful pin cushion who is always at my side whenever and wherever I am sewing – at home or at one of the many courses I attend in different parts of the country. Other than that I’d say it would have to be my ruler and chalk for marking fabric. I love to sew with Jersey Fabric, particularly Ponte Roma. The Coco Pattern by Tilly and the Buttons is one of my favourite patterns and I’ve made the top and dress version many times. Ponte fabric is easy to sew with as it doesn’t move around too much, plus I can achieve a professional looking finish on the inside of my jersey projects using my over locker. I love the Cambie Dress Pattern by Sewaholic Patterns for a few reasons. Apart from the fit and the pretty design of the dress, I enjoyed using the clear instructions and found that I got to try out a few new techniques such as the way the front of the shoulders are inserted and sewn on the inside. I’m a big fan of the Sewaholic designs generally. Another recent favourite and something new for me was the Frazer Sweatshirt. I’d not tried make a jumper with a faux collar before, but again found the step-by-step guide really informative and in the end I got a new sweatshirt I love. I only made it a few weeks ago and have worn it loads of times already. Another one of my favourite patterns is the Agnes Top Pattern by Tilly and the Buttons. I’ve made this quite a few times and really adore it. It’s smart but casual, comfortable and easy to wear. Perfect for loads of different occasions. There are loads of patterns and fabrics on the Mineva Crafts website I’d love to use, however, I’m a big fan of the Grainline Studio Patterns Linden Sweatshirt so as the nights are colder now I’d go for the ‘Atelier Brunette Dazzle French Terry Fabric’ to make another one of these. I’ve never really been a sweatshirt type of person until I discovered the Linden, reading other people’s posts online I think a lot of people love this pattern just as much as me! That’s a difficult question. I always have great plans to finish one project before I start another but it doesn’t always work out that way. My imagination runs away with me and I look through my fabric stash thinking ‘I could just make a start on…’ and then I end up with a few things on my sewing table at the same time – something that drives my husband mad! If I had to put a number on it I’d say three! At the moment I’m working on a Sewaholic Hollyburn skirt, some PJ trousers for my husband for Christmas and some homemade Christmas cards! This is really hard to answer, because I really enjoy wearing so many of the things I’ve made. Possible contenders are the Sewaholic Cambie Dress. Or the Simple Sew Patterns Ruby Dress with added sleeves. I also made the Ruby Dress last year for a Christmas party out of a gorgeous midnight blue shiny material. Another recent contender would also be my mustard Sienna Dress by Simple Sew Patterns. I’ve had lots of wear out of this so far. I made it out of a lovely peachskin fabric with flamingos on it. I never thought I’d say this but I’ve developed a real thing for Country music. We went to Texas early this year and listened to the local music stations a lot when we were away. Since then I’ve rarely had anything else on my Spotify stream. Music, much like crafting, makes me happy. I enjoy googling sewing projects before I start to find inspiration from tweaks people have made to patterns I’m using and fabrics people have used to create their projects. Some of my faviourites to look at are The Crafty Pin Up, Tilly and the Buttons and Lauren’s blog from Gutherie and Gharni. Just give it a go! I’ve not been blogging for long but I kind of wish, much like sewing, I had started earlier. It gives you a platform to interact with other crafty people and gives you a personal way of sharing your sewing journey with others. Hhhmmmm. I’d say creative, enthusiastic and resourceful. I recently started to upcycle a few bits and pieces which is fun. Just to keep learning and developing. In the grand scheme of things I’m still new to crafting, I started about four years ago, so I’m always looking to pick up new skills. I’m a great believer in you never stop learning if you want to!Have you a favourite tip or trick to share with our readers? Just take your time with your projects. I’ve learnt the hard way; sewing when I’m tired, making mistakes and launching into projects without fully understanding the instructions. However, I’ve tried to learn from my mistakes – although, like most people, I still encounter a few hick-ups every now and then! Give it a go and don’t worry what other people will think. I’m always trying to encourage friends to get crafty because I can honestly say that it’s one of the best things I ever got involved in. How can we keep up-to-date with your latest sewing and craft projects? Apart from my blog, Notes from the Sewing Room - you can also find me on Instagram. I am a 27 year old Education Officer (at a Zoo, it’s amazing!!) from Cannock. I have been sewing for a little over a year and have had my blog, ‘Into the sewing box’ for a few months. I started this blog to help new sewers with hints and tips but have since found out how much I love posting pattern reviews and general chatter about my sewing attempts. First dress I ever made – 1950’s Inspired Swing Dress. I really only sew now, I used to make sugar craft decorations for celebration cakes but generally now that is just for special family occasions. I find that I can’t do a lot with sugar craft flowers but I can wear my clothes everywhere! My favourite creation to date. The things I love most about sewing is the fact that I can forget a lot of other stresses and worries whilst sewing as I have to concentrate solely on the garment and pattern, not everything else going wrong in my life. I also love the fact that no one will have the garment I have made in the fabric I have chosen. The last reason I love sewing is I can make individual presents for friends and family that they can’t get anywhere else. I generally sew alone as I don’t live very close to my family, unless you count my cat; however my mum has sewn all my life and has recently started knitting. So we regularly meet up to go fabric & yarn shopping or just chatting in our whatsapp chat about recent projects, photos and most of all help! Generally myself, but I will make presents for other people as well. Oh, and my cat, Lauda. My boyfriend is constantly short changed as he bought me my sewing machine and overlocker and I still have only made him half a shirt. I feel bad, but then I see a lovely dress I have to have and forget aaaaaaaall about it! My boyfriend started a blog about his biking adventures and I thought ‘what an amazing idea!’ I love taking about sewing but don’t have that many people that like to listen, so blogging is a great outlet for that part of my life. My boyfriend is eternally grateful. If I am sewing at night it tends to be a nice glass of my favourite wine. If it’s on my day off then it’s a massive cup of tea and chocolate. My Tailors Dummy – It allows me to fit garments for closely to my shape and make the necessary changes. Seam allowance ruler – I am terrible and judging distance by eye so this stops my hems/seams going all wrong. My sewing journal – This is started to keep track of all my projects, so any issues I can note down for the next time I make the garment. I adore Stretch Fabric, I love how many different things I can make with this type of fabric, how comfy it is and how it fits itself to my curves, whilst skimming over areas I’m not keen on attention being drawn too. I also love the fact that I can make garments that don’t require zips, poppers, fastenings etc, so they can be made very quickly. I try and only have one on the go at a time as I don’t have a huge amount of space to have out numerous projects. I would rather finish one and then move on, however if I am in the middle of a project and something pressing comes up I will have two on the go max. I feel I am getting closer to hoarder status with every fabric shopping trip! My favourite garment I have ever made is a paisley soft cotton lawn dressing gown (Newlook 6233). It is so soft and drapy making it wonderful for summer and taught me several different skills to take forward to future sews. First dress made from my favourite fabric – Jersey stretch! The current project I have had on the go for ages is my boyfriend’s shirt. It’s the first time I have attempted a shirt and I must say I am not a fan of the placket!! I watch a lot of TV especially sewing shows and comedians as I tend to listen more than watch as I am concentrated. I do also listen to audio books on audible as I can combine my love of books and sewing in one afternoon. I use a lot of pattern books and generally google for styles of clothes I like and see what other people have posted. The prettiest yet most troublesome dress I have ever made. Write about what you love. Don’t force it. If it becomes a chore your blogs won’t have the right passion for people to keep coming back for more. Fabric obsessed, methodical and solitary. My sewing fortress of solitude. Just go for it, nothing bad will happen and you may find something you love for the rest of your life. Also, start small. Don’t spend loads of money at the start in case you find it’s not for you. Can you tell us a little about you and your blog? Greetings, my name is Schmetrice. I am from Arkansas, USA. Family, Nature, Beauty and Fashion are the aspects of life I am most passionate about! I have always been a creative person, from writing stories, singing, playing music, bead weaving, sewing, making things from clay and vegan cooking. I was always encouraged by my parents to do what I am interested in. After moving into a new City I started my blog in 2012, it was originally called, “the bored housewife…”. Back then I was posting food pictures and articles about things we made during sewing guild meetings. One day, I got a special request from my oldest who was then 7 years old; he wanted a “sleep” buddy? I was like, what? Can you draw what you are talking about? So he did! What came next, became the blog’s new mascot and the site name changed to What Sew Funny. I still collect dolls, and now, have someone to play with them, the stories my daughter and I come up with are hilarious! The blog features doll videos, custom toy how-to tutorials, sewing and beading projects. As far as I can remember, I started young making “mud pies”, building forts with sticks, and making various art pieces from play-doh. My granny and mother sewed everything from quilts to the clothes we wore. I often got in trouble for breaking/touching their sewing machines. I was inspired by watching them and wearing their latest creations. When I got older, I was given my very own real sewing machine (Singer). I also learned to crochet from my mother. The first project I made on my own was sewing a dress for my Barbie doll and a crochet shawl! My favorite craft(s) would be sewing and bead weaving. I love the process of bringing an idea from 2-D to 3-D! Getting something new and original is great too, but the journey between A-Z is what I love. It was my granny and mother before they transitioned, but now I share the love for crafting with my children. I make things mostly for myself. However, I happily oblige the younger family member’s special requests. What made you decide to start to blog about crafting? Where I am from, the Arts aren’t appreciated as much these days. For example, sewing and bead weaving are quickly becoming a lost skill. There are none among my peers that share an interest in them, so blogging helps me connect with others that do have a love and appreciation for the Arts. My craft areas, are a no snacks zone. Tea/coffee are welcomed though! What (3) sewing or craft items/tools could you not live without? What are your favourite fabrics too sew with? And why? My favorite fabrics are wax fabrics, because of its durability and vibrant colors. My favorite products are all of the Women Sewing Patterns. I would make a new closet of fashion! My favorite thing I have ever made would be our mascot, “Buddy”! From just a few pieces of scrap fabric to a useful item. When I was pregnant with our last child, it was the biggest I’ve ever gotten. I had back aches and swollen feet! It was useful for my back, propping my feet up and it stylishly fits every occasion where a travel pillow is needed. Yes, my current work in progress is a drafted dress pattern from my measurements. It was drawn to mimic the print on the dress. I call this new dress, “Umbrella” dress. The bodice and waistband is designed to stop at the belly button with box pleated skirt, double piped hem and bead embellishments to fabric print. Craft hard, Craft often, Craft what you love! Find your niche and never give up! My crafting ambition is to have an amazing closet full of fashion, my house to look like the inside of a museum and for my blog to witness it all! Hello! My name is Karen and I blog over at Hyacinth Bloom. A (worryingly large) number of years ago I wrote a history blog where I also published some of my short stories, but I stopped when history became my actual job. This year, however, I started a new blog all about my crafty pursuits. I had always enjoyed reading other people’s sewing blogs and seeing them try out patterns I was interested in. This really inspired me to create my own place to share what I was making with other like-minded knitters and sewists. Sewing is probably my favourite craft (there’s nothing quite like sewing up and wearing a swishy dress, is there?). But I also have a big affection for knitting as well. The process of knitting is just so meditative and calming. I also like to dabble with cross-stitch and embroidery when time allows. And baking, don’t forget baking. I love to make (and eat!) a whole host of different flavoured cupcakes. Hopefully my new blog will include an eclectic mix of the best of these crafts (with the odd nugget of history thrown in when I just can’t help myself)! Well I’ve been crafting on and off since I was a child, as both my mother and grandmother enjoy a variety of craft activities. I still love being able to discuss my projects with them and visit yarn shops together. I started knitting and sewing more seriously, however, over the last two years or so. I was spurred on by the desire to create an entirely handmade outfit for my cousin’s wedding. I did manage to make a bag and a dress, but the cardigan I knitted went so horribly wrong I had to make a last-minute purchase from the high-street a week before the wedding. For me crafting is a way to relax and has really benefited my general well-being. The end product is usually the aim, but the act of knitting and sewing in itself is incredibly enjoyable. I love the way that crafting can focus your mind to what is directly in front of you, and during that time your usual cares and worries don’t seem so pressing. This may sound more than a little odd, but I have a bit of an obsession with duvet covers! There are a couple of reasons why I think they’re so great. Firstly, they are made from a stable fabric that washes well. Secondly, they are often pretty good value for money if you think about how much fabric you are actually buying. And finally, you can get some amazing novelty prints on duvet covers that you just wouldn’t find on a dressmaking fabric. A good percentage of my handmade dresses actually started out life as a duvet cover! Usually I only have one project of each craft on the go at a time. So I might be in the middle of sewing a dress, knitting a jumper and cross-stitching a picture all at the same time. This enables me to move from one craft to another as the mood takes me, but I don’t end up feeling like I have too many projects started at once. Or at least that’s how I like to think about it! What is your favourite thing you have ever made? Oddly enough one of my favourite makes is a so-called ‘selfless’ make. Mostly I just make things for myself. The desire to learn to knit and sew came from the aspiration of having a handmade wardrobe filled with clothes that suited me better than generic high-street items. This year, however, I resolved to make handmade gifts for my friends and family. The very first garment I made for someone else was a dressing gown for my brother’s birthday (using the pattern New Look 6233). With this one I took even more time to make everything as neat as possible, going so far as to hand-sew a good percentage of the garment using couture techniques I found in a library book. What is your latest work in progress? At the moment I’m trying to plan a capsule wardrobe for the autumn. As part of this I’m attempting to make a lightweight jacket using the Victoria Blazer pattern from By Hand London. This isn’t just any old make though as I’m attempting to refashion this jacket from an oversized men’s shirt. Fingers crossed it turns out as I imagine it will in my head! This is a new thing for me actually. Up until this year I used to craft in silence, as the whirring of the sewing machine was always oddly therapeutic. This year, however, I have been enjoying audiobooks (which you can get on loan from a local library). This enables me to read and craft at the same time, which couldn’t be more perfect as I’ve always been a bit of a bookworm. The internet really can be a marvellous thing! Instagram is always a good place to start off seeking inspiration from other sewists or knitters. Reading or watching blogs is also a great motivation and a way to find new-to-me patterns or designers. There are some blogs that are all about vintage fashions that are truly inspirational and beautiful to peruse, but I also enjoy those blogs which are about more simple and uncluttered pieces of everyday clothing. Once a year I do also like to buy the ‘new season trends’ copy of Vogue to have a nosy at what styles might stand out to me. To anyone looking to start a new craft I would say – go for it! Don’t be intimidated or put off by something that seems too difficult. So much of crafting is about trying new things, learning skills and techniques, and growing from mistakes. If anything, craft shows you that it is okay to go wrong, you can’t be perfect at everything. I would also say be careful of starting a new craft - it can very quickly take over all your free time, every waking moment and indeed most of your storage space! Hi! My name is Anna and I live in Finland. My blog is called Ompele Oma Onnesi which means ”Sew your own happiness”. I am also active in Instagram where I am ompeleomaonnesi. I have always been a creative person and loved crafts, music, art and writing. I also love pretty dresses, which is why I spend most of my free time these days sewing. I started sewing already as a little girl. When I was seventeen, I made my own ball gown for my high school ball. That project was kind of a game changer for me. After all that boning and 4.5 meters of hand stitched hem I felt there was nothing I couldn’t sew. Then when I graduated from university, I realized how difficult it was to find any RTW business clothes that would be my style. That is when I decided that one day I want to be able to make all my clothes. I love the whole process! The most magical thing, however, is to start the day with three meters of ordinary looking flat fabric and end the day with a gorgeous me made dress. To be able to create something that makes me smile every time I wear it… It is amazing! Also, I am a big fan of hand sewing. Somehow I find it extremely relaxing. What other crafts you are interested in? I love all kind of crafts. But recently I’ve started to knit more. I would like to be able to also make all my knitwear some day. It took me four months to knit a beautiful vintage inspired jumper, but it was worth it. Do your friends or family craft sew with you? Usually I sew alone. It is my me-time. However, occasionally me and my lovely cousin have a sewing day and spend a whole day just sewing and chatting. It is great! I sew mainly just for me but try to squeeze in a little bit of selfless sewing every now and then. I have made couple of really cute dresses for my little niece, for example. Chocolate! Although it is a very bad habit. Chocolate and delicate fabrics don’t go well together. And of course I drink more tea than I probably should. I even have an especially pretty thermal mug dedicated just to keeping my tea warm while I am sewing. My amazing scissor collection (that is actually more than just one item…), my beloved sewing machine and lots of pins. I think it is all about good basics when it comes to sewing tools. I love Cotton Fabric. One can create such timeless dresses with cotton. Also, cotton is easy to work with and nice to wear at any weather. I am also a big fan of Rayon Fabric which makes beautiful and chic blouses. If I had to pick one - which is incredibly hard - I would say it is my maid of honor dress I made to wear at my cousin’s wedding some years ago. It was a winter wedding and I was so happy how I managed to combine lovely satin and delicate lace to create a beautiful winter dress. Since I first saw this Silk-Rayon Blend Fabric I have known that it would make the most beautiful vintage inspired dressing gown. I would also like to mention a beautiful floral Viscose Fabric which I recently used to make a Sew Over It Anderson blouse. It has the most amazing drape. I try to limit my projects to one or two. If I start a third project, it is very likely that one of the two first ones will end up to my UFO drawer. Yes. I love music and it is my number one sewing entertainment. Sewing days give me a great opportunity to listen to long operas and musicals. Lately I have also listened to audio books. Although I have to pause them when using my noisy overlocker. Mainly Instagram and blogs. There is an amazing social sewing community in Instagram. I love how much encouragement and inspiration one can find there. Do you have a sewing tip you would like to share? My number one tip is to believe in yourself. It is so easy to think that something is too hard. But you just need to take your time and believe in your own skills. And my second tip is to pay attention to pattern placing. It can make all the difference. Just write about what you love most. Also, stay focused and be ready to put some effort to your blog posts. But the most important thing is just to enjoy the process. What are your sewing ambitions? I dream that one day I have only me-made clothes in my wardrobe. My goal is that there is no sewing project too difficult or boring. I want to be able to create everything I can imagine. What kind of impact does sewing have on your life/you? Sewing has given me more confidence. It also helps me to relax and have fun. When I am sewing I can be as creative as I like and concentrate only on beautiful things. Sewing makes me happy! Sewing is the best hobby I could imagine. In today’s hectic world it feels so good to slow down and concentrate on creating something. Be it sewing or knitting or paper crafts, just start it. There is no requirements. Anyone can start creating. And once you start, you never know what kind of magical moments you will experience.